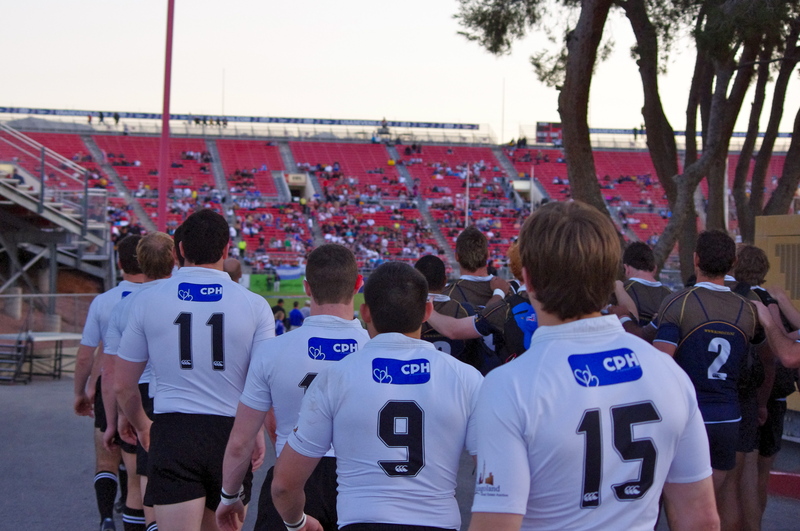 For the first time in club history, the Chicago Lions were selected to participate in the Las Vegas Invitational 7’s Tournament, held inside Sam Boyd Stadium in conjunction with the 2010 IRB USA 7’s Competition. The Lions played in a cut-throat division of 12 powerhouse programs, and once again proved that even the best 7’s competition our country has to offer isn’t enough to stop this team on any given Saturday. The team got off to a fast start in their first match of the tournament, shaking off all visible signs of rust accrued from not playing together competitively in nearly six months, and used a balanced offensive attack with tries Scott Peterson, Patrick “Boomer” Twardak, Mat DeGutes, and Mark Roberts to take down a tough Kansas City Blues side 24-17. The second match of the day presented a bit of a “revenge” factor for those who keep tabs on the Lions, as they took on the only team to beat them in National Championship Pool Play during the summer of 2009; the Northern Virginia (NOVA) Rugby Club. The Lions were able to secure ball possession throughout most of the match, and benefitted from solid individual performances once again from Peterson, Roberts, Tommy Dolan, Austin Britts, and Brian Rooney to avenge their previous loss to this Mid-Atlantic foe, beating NOVA by the score of 26-14; good for a first place finish in Pool 4 of the Las Vegas Club Championship Series and strong momentum heading into the knock-out rounds. In quarterfinals action, the Lions faced the tall task of taking down the defending Super League Champions, San Francisco Golden Gate. In what was by far their most difficult match thus far in the tournament, the Lions initially struggled to defend against San Francisco’s blazing speed and flawless ball skills in the match’s opening minutes. Despite the world-class caliber opposition they were lined up against, the Lions were able to compose themselves and settle down eventually, getting back to their gameplan and taking the offensive attack to Golden Gate side in the second half. Tries were scored from DeGutes, Jeremy Nash, and Eddie Bluemel in regulation to force a sudden-death overtime session to determine which team would be heading to the semi-finals, and which would be heading home. In overtime, it was the Lions’ defense that proved to be the star, as they shut down every attempt San Francisco made at breaking through the gainline, and were able to force a timely turnover nearly two minutes into play. After three phases of looking to expose holes that simply weren’t appearing, the Lions swung the ball out to a streaking Roberts, who took the match into his own hands by displaying a most brilliant kick and chase play over the San Francisco defenders, securing possession afterwards, and taking the ball past the tryline for the game winner as the Lions emerged from this heart-stopping match the victors, 26-21. The Lions were now 3-0 on the afternoon, with one day of rugby left to play, and two potential matches remaining on their way to the title. In Saturday’s action, the Lions found themselves staring down a familiar and formidable opponent to slay on their way to the finals; the 2008 Men’s Club 7’s Champions, the Gentlemen of Aspen. Seizing the opportunity in front of them in grand fashion, and displaying their trademark style of tough, smart, physical rugby, the Chicago rode a superb team-defensive effort and tries from Bluemel, DeGutes, and Jordan Highberger to secure a 19-12 victory over Aspen, and spot in the Championship against the defending 2009 Men’s Club 7’s Champions and three-time Super League Champions, Belmont Shore. The Chicago Lions and Belmont Shore require no introduction to each other. The two clubs share an extensive history, dating back to 1997 when both teams were founding members of the Rugby Super League. Since 2007, the history has been relatively one-sided, in favor of Belmont. The Lions lost their shot at a claiming their first Super League Championship to Belmont in the finals in 2007. In 2008, the Lions and Belmont would meet again in the Super League playoffs, this time in the semi-finals, but the match ended in the same result, with Belmont walking over Chicago on their way to the finals. 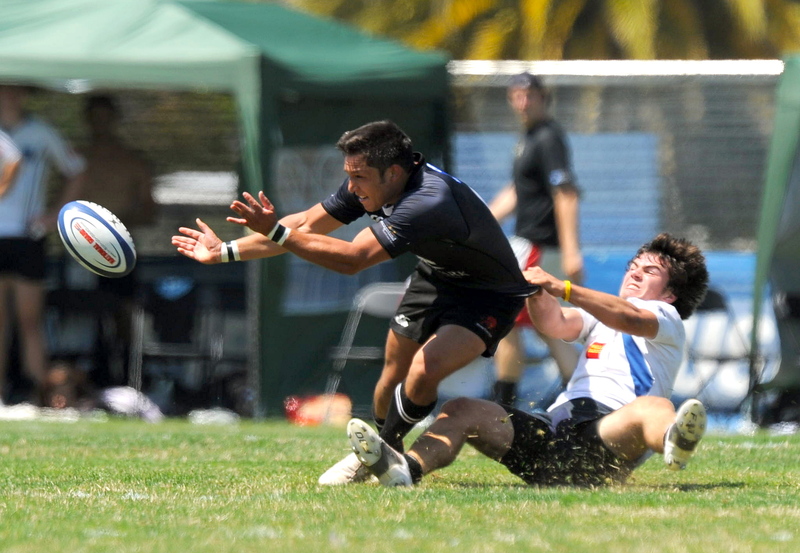 Then, in 2009, the Lions were unceremoniously knocked out in the semi-finals of the Men’s Club 7’s Championship by the same dominant rugby club hailing from Los Angeles. This time, in 2010, the Lions would look to strike their revenge. Before an anxious crowd inside Sam Boyd Stadium, the Lions showcased an astounding array of talent, determination, and heart as they faced the mighty Belmont Tigers in what was the most watched and anticipated match of the tournament. From the opening kickoff, the Lions controlled all facets of gameplay, including the ever important battles of territory and possession. Throughout the match, however, Belmont continued to capitalize on errors and lapses in judgment made by the Lions, and made them pay dearly for each one. When the final whistle blew, the Lions found themselves on the wrong end of a 31-7 clash, unable to end their losing streak to one of the most renowned clubs in America. The Lions played incredible rugby, and turned quite a few heads this weekend in Las Vegas, leaving more than a few people surprised with their style and high level of play amongst the country’s best 7’s competition. One group of people that were not at all surprised by this, however, were the Chicago Lions themselves and their legions of supporters across the globe. Cheers to another fantastic run, boys. You made the club proud. 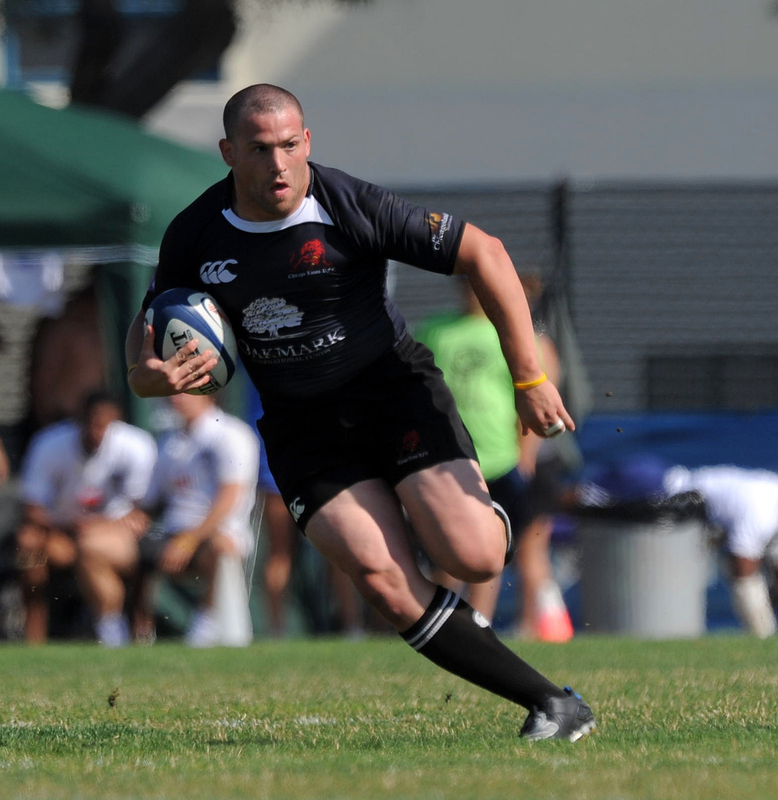 The Club Championship Series, sponsored by the USA 7s, featured club teams from across the United States and Canada, as well as select-sides from around the world. More than 150 teams competed in 2010, with an expansion to 11 divisions of competition for men, women and youth players. Chicago Lions waiting to take the field.